We present a study of disorder origination and growth inside an ordered phase processes induced by the presence of multiplicative noise within mean-field approximation. Our research is based on the study of solutions of the nonlinear self-consistent Fokker-Planck equation for a stochastic spatially extended model of a chemical reaction. 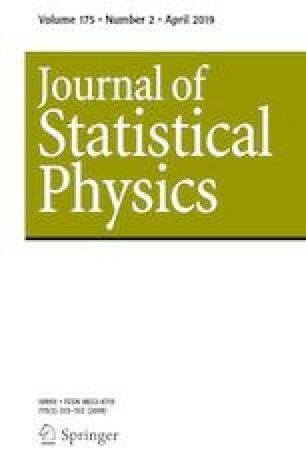 We carried out numerical simulation of the probability distribution density dynamics and statistical characteristics of the system under study for varying noise intensity values and system parameter values corresponding to a spatially inhomogeneous ordered state in a deterministic case. Physical interpretation of the results obtained that determines the scenario of noise-induced order–disorder transition is given. Mean-field results are compared with numerical simulations of the evolution of the model under study. We find that beginning from some value of external noise intensity the “embryo” of disorder appears inside the ordered phase. Its lifetime is finite, and it increases with growth of noise intensity. At some second noise intensity value the ordered and disordered phases begin to alternate repeatedly and almost periodically. The frequency of intermittency grows with the increasing of noise intensity. Ordered and disordered phase intermittency affects the process of spatial pattern formation as a consequent change of spatial inhomogeneity configurations.